In the first week of the Revelation series, Tim Hawks describes that as Jesus returns for the conclusion of history, we are all called to play in roll in the narrative. Continuing in Revelations, Pastor Tim Hawks uses Jesus' letters to the 7 churches to show how Christians should not indulge in the world but overcome it. Who runs your life? This week pastor Tim Hawks encourages us through Revelation 4 to keep our eyes on Heaven, and let God run our lives and influence our decisions. Pastor Tim Hawks takes us through Revelation 5, where it is clear Jesus is the only one worthy to bring forth God’s plan to win people back. As both the Lion and the Lamb, it is Jesus’ sacrificial love that enables the massive movement toward Christ in the earth. 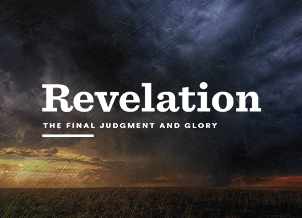 Continuing our survey into Revelation 6, Pastor Tim Hawks describes the major events and players of the beginning of the end of the world. And by looking at the coming people’s response we see the human flaw of pride and self sufficiency that plagues humankind. Through Revelation 7, pastor Tim Hawks shows through scripture that God is always faithful and will keep his promises. He has sealed salvation through Jesus’ death, and we can entrust Him with both our pain and future. As Pastor Josh Horton shows through Revelations 8 and 9, we live in a world that does not want to believe in God’s ultimate wrath. But by ignoring the wrath, we are ignoring an expression of God’s grace and justice. As Pastor Tim Hawks leads us through Revelation 10 & 11, it is clear that it is judgement paired with a witness that will break through to the human heart. In these passages God lays out the characteristics of a witness so that we can be the witnesses to this generation. Will we let Him make his appeal through us? As Pastor Tim Hawks takes us through Revelation 13 we are reminded of Satan’s identity as the true destroyer. But we can overcome Satan by the power of Christ’s resurrection and turning from the things that give him a foothold in our lives. Reading through Revelation 13, Pastor Tim Hawks shows how Satan will make himself into the counterfeit trinity. And in the end there are only two paths we can choose, God’s Gospel centered path of truth and Satan’s path of deception and destruction. Continuing into Revelation 14, Pastor Kip Nanninga takes us through the end times to show what is at stake in the future and what is at stake now in our lives. As Christ followers no matter what struggle and circumstances we go through in our lives we must persevere. Continuing into Revelation 15, Pastor Tim Hawks highlights the time of worship and the time of cursing during the end. Worship is the response of the faithful to God’s judgment whereas cursing is the response of the rebellious to His just judgment. Pastor Tim Hawks takes us to through Revelation 17 and 18, which lays out the fall of everything that mankind clings to. Because we know that all worldly things will be forever lost, what kind of people should we be in today’s age? Pastor Tim Hawks moves us through Revelation 19, where we see both the wedding and the war during the end times. We have all been invited to the wedding feast with Christ, but what are the implications of saying no? We continue to Revelation 20, which is the end of the Millennial Kingdom and there is no place for excuses. The stakes are high and the consequences of having an unregenerated heart are eternal. We all have ideas of what Heaven will be like, but by looking through Revelation 21 and 22, we see the truth about the eternal kingdom. As Revelation draws to a close, it’s clear that we should be ready and eager for Christ to come back at any moment.